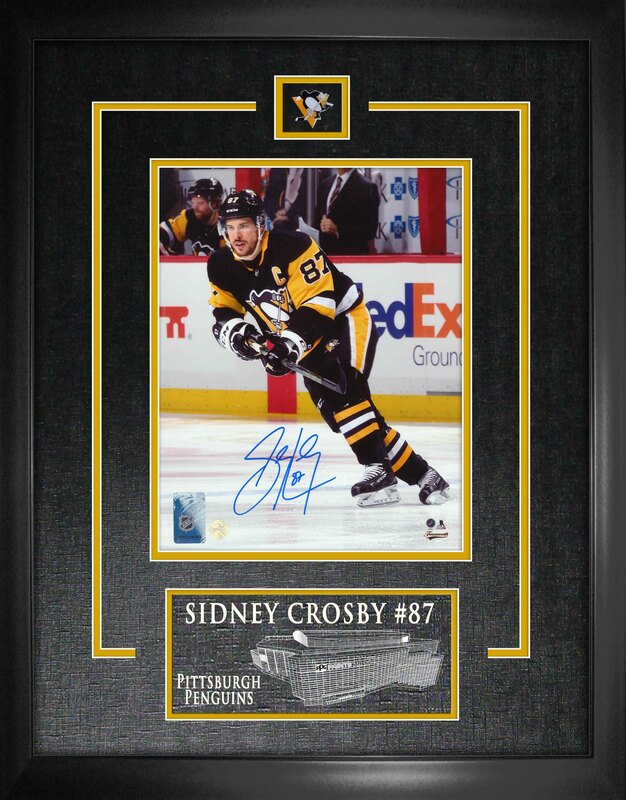 This photo comes personally signed by Pittsburgh captain and All-Star, Sidney Crosby. Crosby was drafted first overall in the 2005 NHL Entry Draft. Crosby has scored over 100 points in five seasons, and has over a point per game in every season Crosby has played. In Crosby’s second season, he became the youngest player and only teenager to win a scoring title in any major North American sports league. Crosby is a well decorated athlete winning three Stanley Cups, two Conn Smythe Trophies, two Hart Trophies, three Ted Lindsay Trophies, two Maurice Richard Trophies, two Art Ross Trophies, and a Mark Messier NHL Leadership Award. In 2019, Crosby is set to play in his eighth All-Star game. This NHL & NHLPA licensed product comes with a Frameworth hologram and COA to ensure the authenticity of the autograph. Frameworth is the exclusive provider of Sidney Crosby signed memorabilia. Frame Size: 18x22"